Never let someone hurt you twice, Giving him a second chance is exposing yourself to be hurt again, If s/he had done it once, it's bound to happen again. Why? 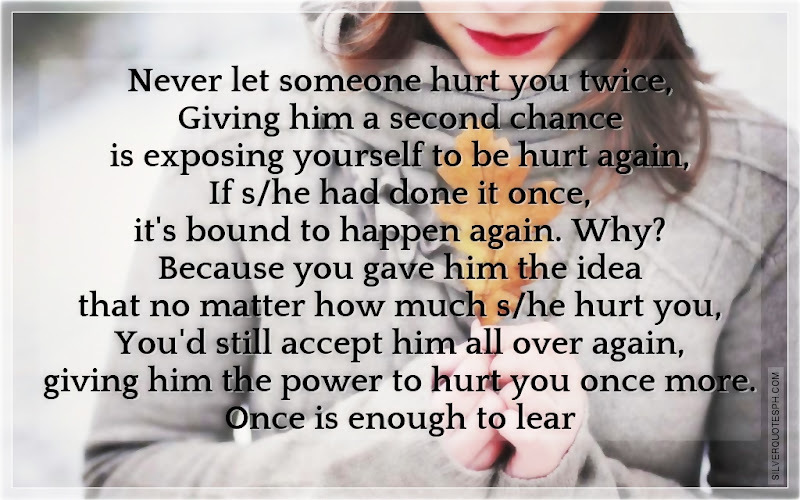 Because you gave him the idea that no matter how much s/he hurt you, You'd still accept him all over again, giving him the power to hurt you once more. Once is enough to learn.